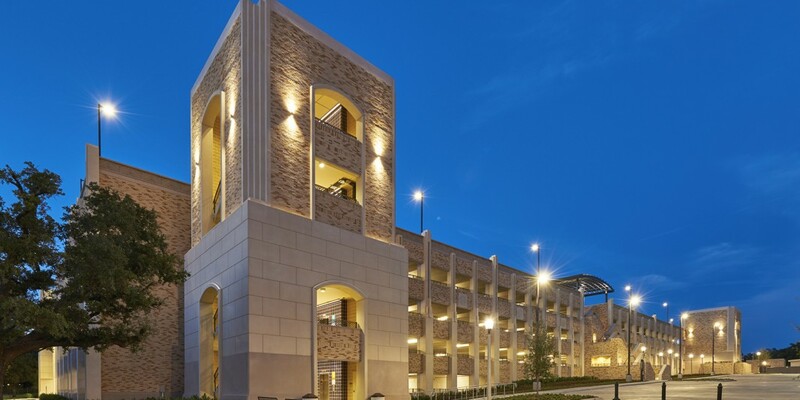 In order to provide additional parking for TCU students and alumni attending special events at the Dee J. Kelly Alumni and Visitors Center, Beck’s design and construction teams are building a 5-story parking deck. 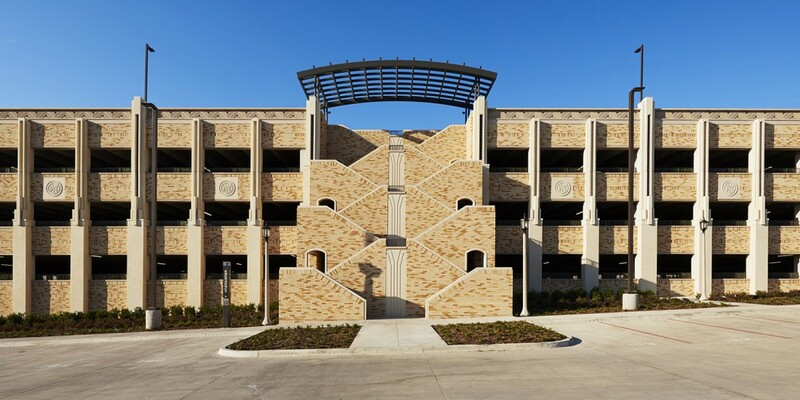 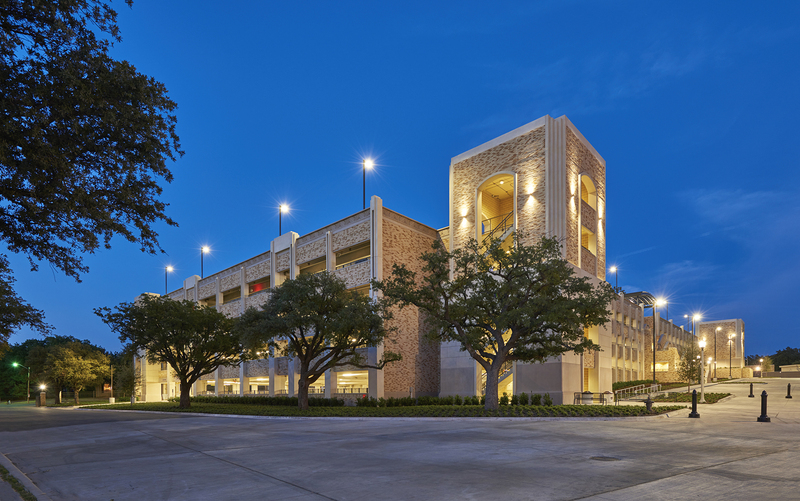 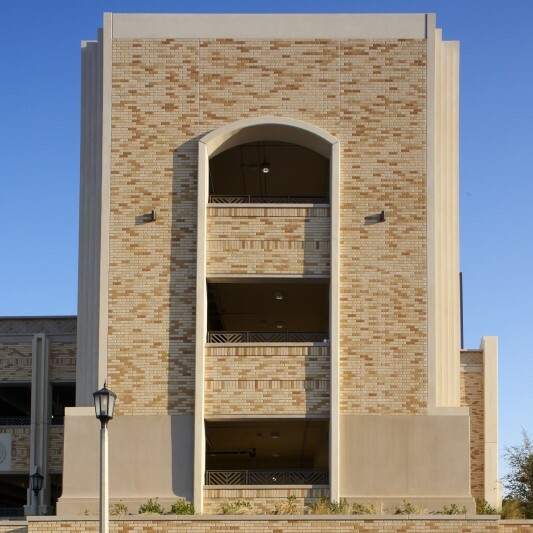 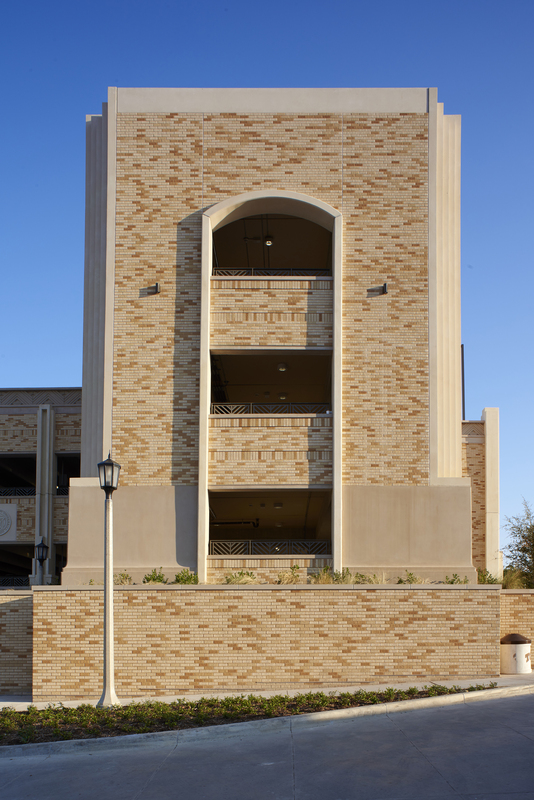 The structure’s exterior skin of buff brick, architectural cast stone and steel trim closely resembles the look of the nearby Amon G. Carter Stadium. 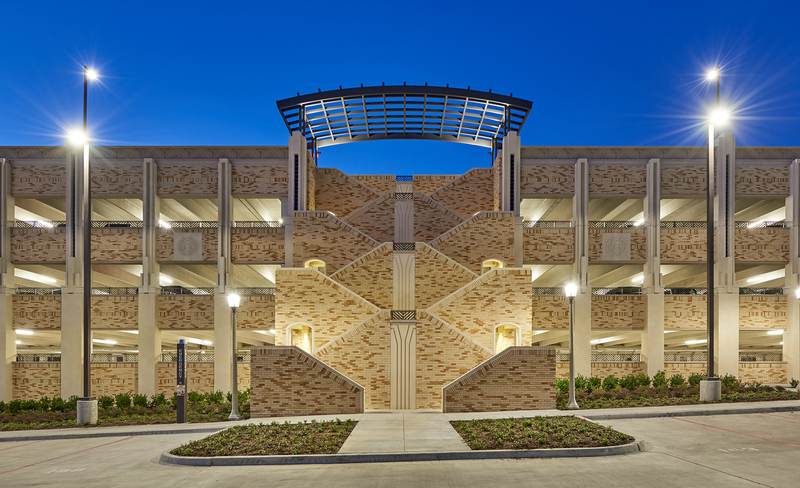 In addition to two elevators, one each on the east and west side, an architectural Grand Stair sits prominently in the center of the garage. 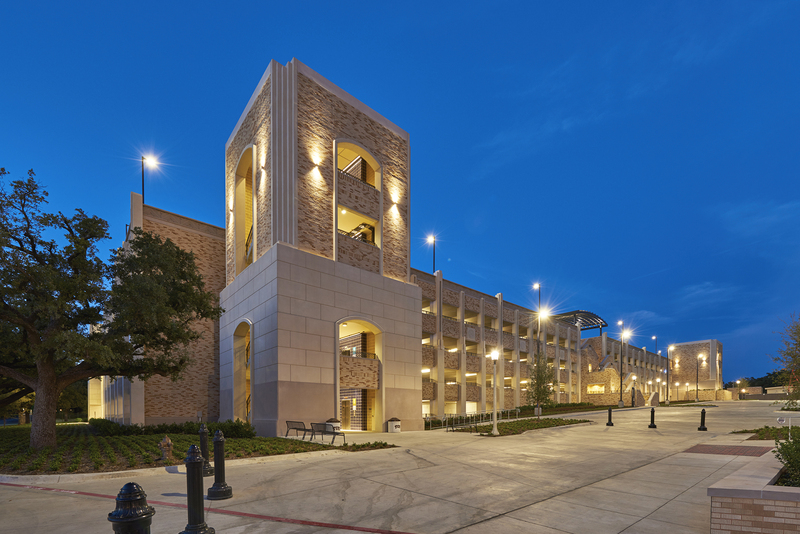 LED lighting will ensure the occupants’ safety in the building. 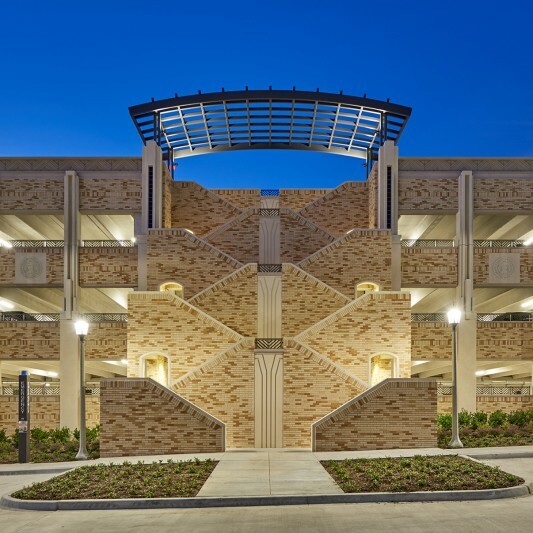 The new parking garage nearly doubles the previous spaces available on the old surface lot.